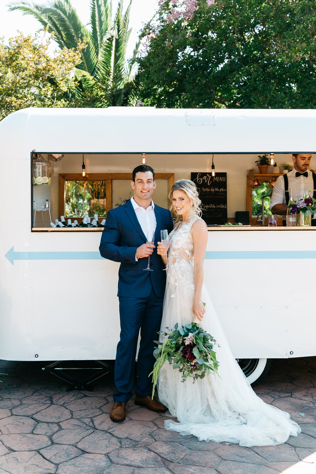 Weddings and delicious cocktails go hand in hand. With Hello Penny Bar, we pride ourselves on not only having the cutest bar in town, but also having the most delicious drinks on the menu. 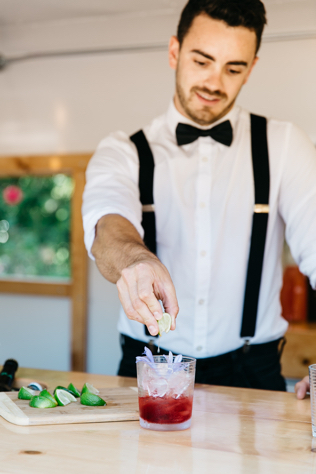 Over the past few events, we have learned to whip up some amazing concoctions that will ensure thirsty guests come back looking for more. We would like to share our top five cocktails with you that you can easily make at your own special occasion! First, grab a glass with a little bit of ice. Fill it up halfway with your favorite prosecco drink. Now, to make it a little stronger, add a shot or two of gin. Then add 3-5 thinly sliced cucumbers. Then add a few leaves of mint and our favorite – elderflower. This is a very refreshing and bubbly drink that will keep the party going late into the night! This one we like to make in a large pitcher and pour to individuals that order it. First, add a handful of sliced strawberries in the bottom of the pitcher. Then add two tablespoons of sugar. Muddle them together to make a nice paste. Then add your favorite bottle of prosecco. Add 2-4 cups of ice, depending on how hot it is. Mix the pitcher well to stir up all the goodness. Then, pour into a mason jar with a little bit of ice. Top off with a lemon wedge and a sliced strawberry. That’s it, done! One thing we have learned about weddings and major festivities is that everyone LOVES ginger beer. So, we give in to this temptation and serve up a delicious Moscow Mule. Fill your glass up with ice and then it all starts with Tito’s Vodka. You can use any vodka really, but this one is special and our favorite. Pour in 2-4 shots, depending on how brave you are. Then fill the rest of the glass up with ginger beer. Then add a lime wedge to the rim and you’re done! Serve with your favorite straw and you’ll be sure to have that guest back in 15 minutes for a refill. If vodka isn’t your jam, then whiskey should do the trick! We like this option because it is the same process as the Moscow, but just with whiskey. Fill your glass up with ice. Add 2-4 shots of your favorite whiskey. Top off with ginger beer. Then add mint leaves to give it some texture. Add a lime slice to the rim and that’s it! Delicious, strong and the ginger-flavor is super refreshing. Still with us? Okay, if you want something REALLY easy and extremely delicious, then you can’t go wrong with the new craze drink of 2017…Tito’s and La Croix. That's right – two ingredients and you’re done. Fill the glass up with ice, add your desired shots of Tito’s Vodka (2-4 shots) and then pick your flavor of La Croix. We recommend lemon, tangerine, cran-raspberry or lime. You really can’t go wrong with any of them, as they are all delicious in their own way. Fill the glass up with your La Croix, serve with a fun straw and you’re done. This is a really easy, inexpensive and classy way to serve up drinks fast! Well, there you have it. 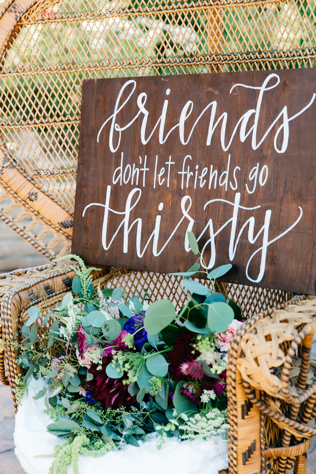 Our top five favorite wedding drinks to make for any Hello Penny Bar event. Give it a shot and, of course, if you need help with your next party, Hello Penny Bar is ready to attend. As always, be safe out there and CHEERS!